Paige & her family are loyal Bulldogs. Her daughter Kelsey is wife of former QB Colby Cameron. Imagine that you, a Louisiana Tech student, are awake with a fiery painful throat and no immediate inaccessibility to Mom and Dad. Or consider your plight in jumping off a treadmill in the Lambright Sports and Wellness Center, painfully twisting your ankle. Or what will you do when you must have stitches to an injury while visiting family out of town, with no time to return for stiches to be removed? Well, you are in luck! 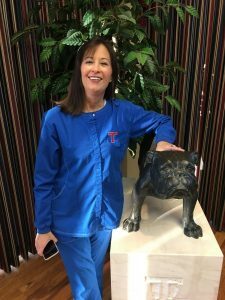 It’s time you became acquainted with the Louisiana Tech University Health Center! With the May 2016 relocation of the Student Health Center to the Lambright Sports and Wellness Center, the facility offers both an updated look and a relationship with other departments dedicated to student wellness, unlike any in the state. The reorganization was intentionally planned with the convenience of students in mind, in providing easily accessible medical services as well as collaborative programming with LSWC, Counseling Services, and the Nursing Department. Each day, Monday through Friday, Student Health Center doors open at 7:30 AM in order to meet the strenuous and challenging schedule of each student. Students are greeted by Administrative Assistant Jan Rose, who assists with check-in. 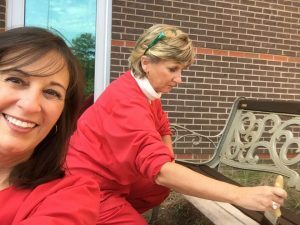 The Health Center is particularly fortunate to have the services of Director Paige Pickett, RN, and Alisa Washam, RN, with a combined experience of 56 years in nursing. Dr. Shane Phillips is the Student Health Center’s consulting physician. 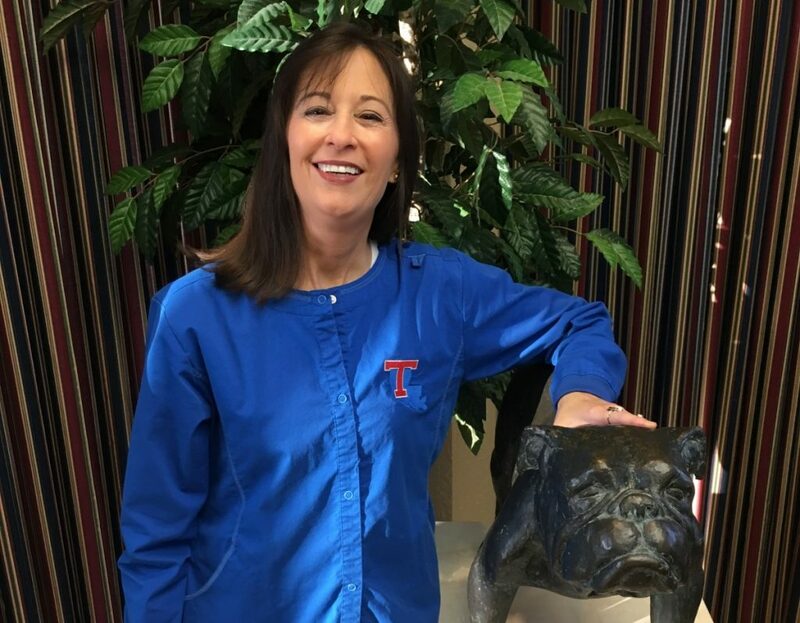 Dr. Phillips is a Louisiana Tech alumnus and he is always willing to volunteer his time when he is needed. 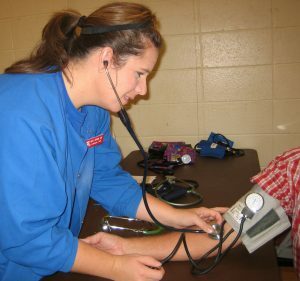 Routine assessments and services, offered free of charge to the student, include medical evaluation of illness and/or injury; assessment of eyes, ears, nose, throat, and skin; respiratory check for allergies, flu, bronchitis, sinus, asthma, and colds; contagious disease evaluation; and care and referral for orthopedic sprains, strains, and fractures. In those cases where a referral to a physician or medical facility in the area is appropriate, the attending RN can make those arrangements. Also available to students free of charge are urinalysis, allergy injections, weight and blood pressure checks, suture/staple removal, and general first aid. Additional services available to students for a minimal fee include immunization updates, flu shots, hepatitis B and meningitis vaccine, pregnancy test, tuberculin skin test, and strep test. Integral to the role of the Student Health Center is wellness education. Each year, the staff hosts a Wellness Fair at the LSWC, wherein area health and wellness providers offer an array of information to assist with decisions about physical and emotional health. The RNs also regularly post, via social media, information vital to the health and safety of the University community. The Student Health Center offers current and accurate information about STDs and sexual health, and staff members routinely refer students to other units on campus, such as Counseling Services, where appropriate. 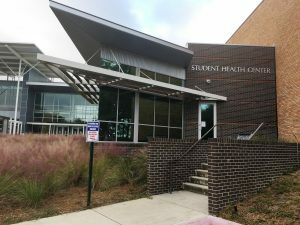 Louisiana Tech University is fortunate to have the Student Health Center available to students to meet both their immediate health needs and health education programming. Staff members are proud of the new facility, designed to save time and provide state-of-the art medical care for students. If you have not visited the Center, take some time and stop by for a tour. You may be surprised with the array of services and modern, attractive facility available for student use.